Attilio Imperiali, Berbrand, Besani, Italdenim, Miroglio, and Zip may not have the same name recognition as Dolce & Gabana, Prada, and Versace, but their reach is far deeper than most might realize. 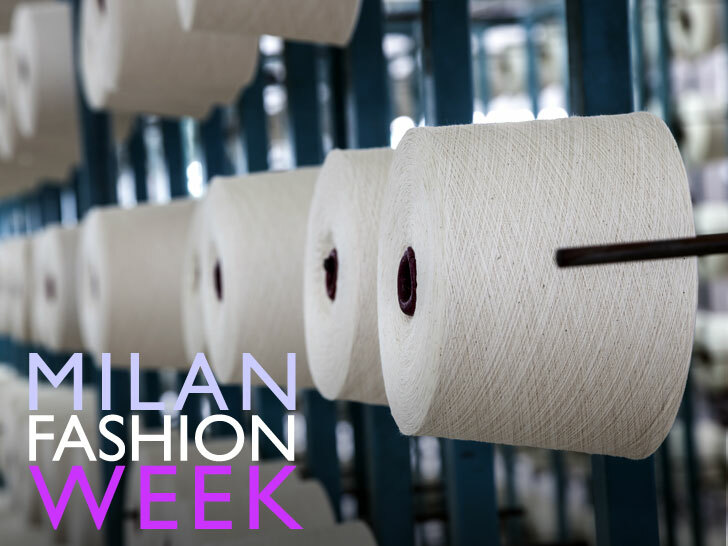 As Italy’s biggest textile suppliers, the companies are directly or indirectly responsible for some 70 million garments produced by the world’s leading fashion and luxury brands every year. To mark the end of Milan Fashion Week, the suppliers have pledged to eliminate hazardous chemicals from their supply chains by 2020 according to Greenpeace’s “Detox” roadmap. 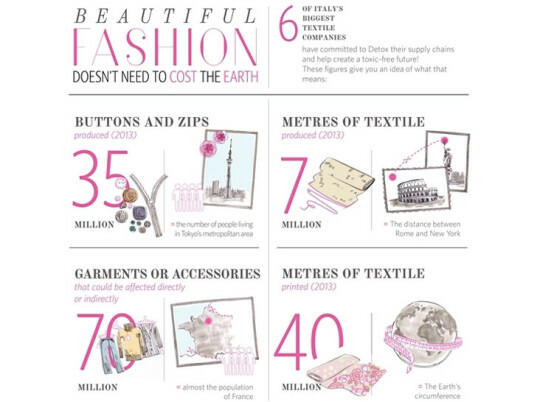 Greenpeace Italy estimates that the six firms produced roughly 40 million linear meters of printed textile material in 2013 alone, or enough to stretch around the Earth’s circumference. Although Monday marked the first announcement of their formal commitments, the companies have already phased out eight of the 11 priority groups of toxic substances identified by Greenpeace, including AZO dyes, phthalates, perfluorinated compounds, and heavy metals such as cadmium, lead, and mercury.